The Teach Them To Fish Foundation opened our first school in rural Uganda at Kanyanga Village, Bukedea District, on October 18, 2010. 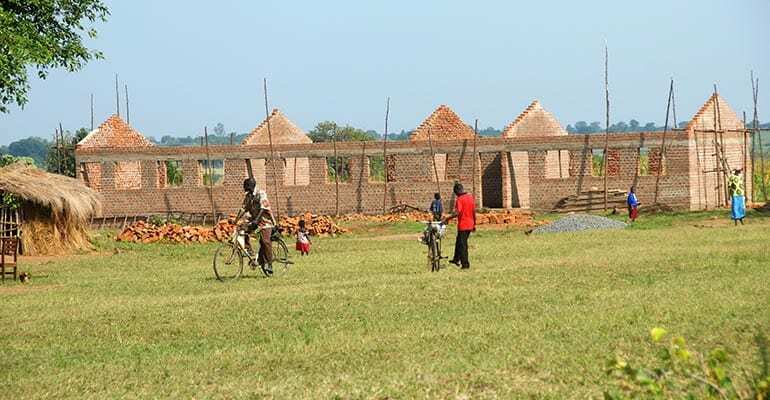 We built our first elementary school (grades 1 through 7) for approximately 500 AIDS orphaned and impoverished children at Kanyanga Village in Bukedea District where children previously studied under trees because they did not have a school to go to. We visited the village, meet the community leaders and inspected the site to insure it met our criteria for capital investment. On July 12, 2010, we held a ground breaking ceremony. From July to October, the general contractor built the school. On October 18, 2010, we held an opening ceremony and the new school officially opened. At the opening ceremony, we turned ownership of the school over to the villagers. 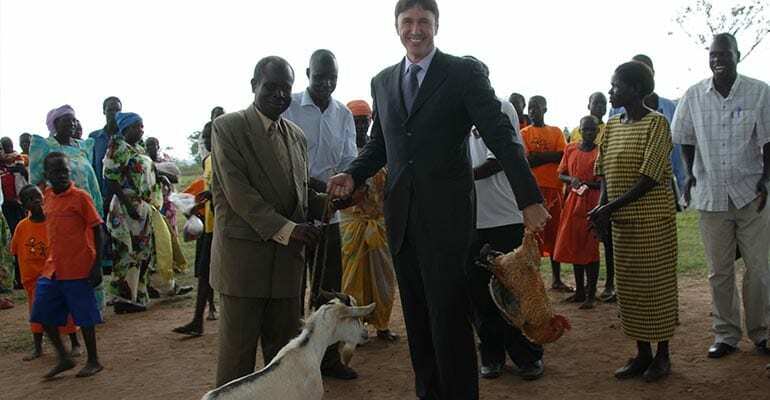 The village leaders gave a goat and a rooster to our Board Member to thank the Teach Them To Fish Foundation for building a primary school for their children. Yes, our Board Member is holding the rooster upside down by its feet. While he wanted to take the animals home, due to US custom’s regulations, our Board Member decided it was better to leave the goat and rooster with a good family in Bukedea to care for them until we return. To learn more about Kanyanga Primary School, see our Photo Gallery. Watch our children singing during construction (Video Gallery, Kanyanga Opening Ceremony). Watch our opening ceremony, too (Video Gallery, Kanyanga Opening Ceremony).